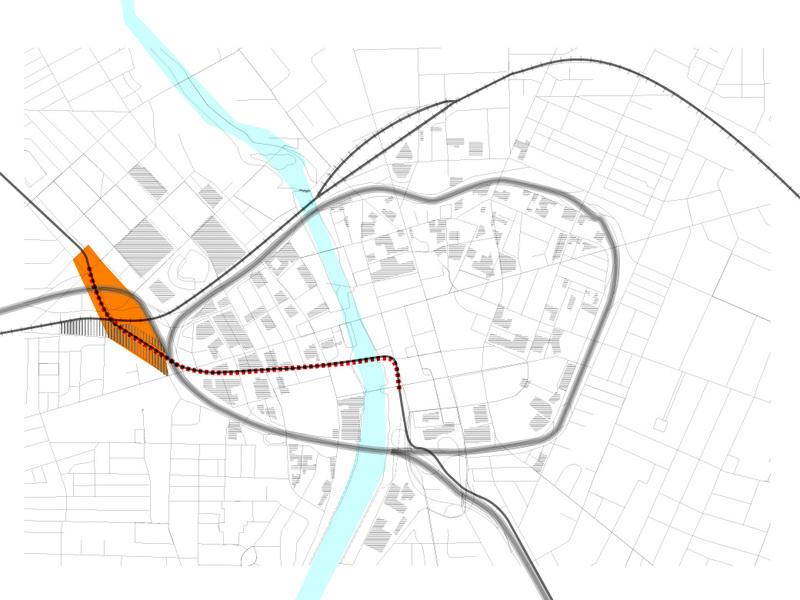 While my project will focus more on what is indicated in orange as the approximate area of the interchange, there will be a secondary component of the thesis at a larger urban scale. This component will begin to illustrate the beginnings of an emergent system of networks. For this portion, I plan to use the abandoned subway tunnel [seen as red dotted line] as a distribution spine from the transit interchange. I have been experimenting with Grasshopper to help demonstrate some distance mappings of possible routes to and from random points. 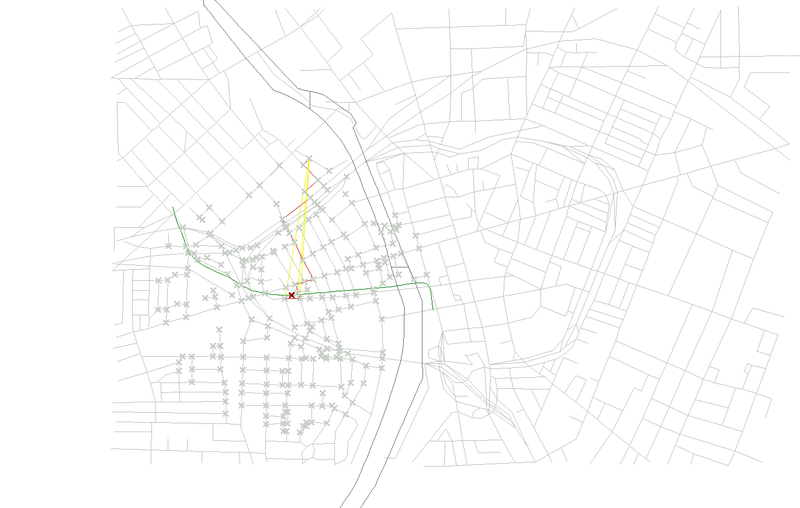 My second attempt to use the GH component “Shortest Walk” yielded some helpful results. The idea is to visualize the existing subway tunnel as a spine that extends eastward from the interchange and towards Rochester’s downtown. I used a measurement of 1/2 mile as the walking tolerance so see all the possible routes one would take from the tunnel path outward. This GH definition is a simplified version of what may come in the near future. I intend to incorporate other disruptions or attractions within the city’s downtown to model the more complex nuances of movement.